Wayne R. Posner was elected to the Jupiter Town Council for the first time in March, 2016. Councilor Posner was born in Philadelphia and has lived in Jupiter for the past 25 years. During that time he and his wife, Linda, raised four children, all of whom attended public schools in Jupiter. 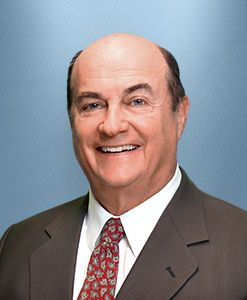 Before retiring, Councilor Posner owned a successful construction business based in Jupiter. He has also volunteered for various charitable organizations, including coaching JTAA sports, and served as a member of the Jupiter Planning and Zoning Commission. Councilor Posner’s vision is to help sustain a pleasant atmosphere and a welcoming feel in the Town of Jupiter. While some development is inevitable, careful scrutiny is paramount to insure it is compatible with our town, makes sense, and is of quality design. He is also is in favor of keeping open space, waterways and beaches free and accessible to the public.